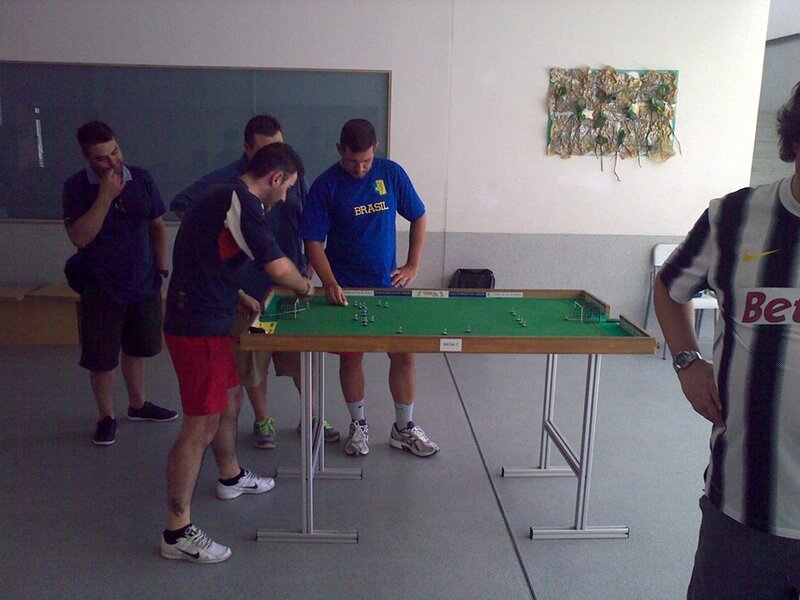 The FISTF Open of Porto took place last week-end with some of the country’s top players taking part. In the Open category, it was a very classic final betwene Filipe Maia and Sérgio Loureiro. Maia won 3-2 while Norberto Miguel and Ruben Português lost in the semis. Filipe Maia had a perfect week-end as he also won the veterans section (picture hereunder), beating João Rodrigues (4-2). Paulo Laranjeira and Miguel Faria reached the semi-finals. This entry was posted in Player News and tagged Portugal, Results. Bookmark the permalink. ← 1st FISTF event in Kent a huge success!